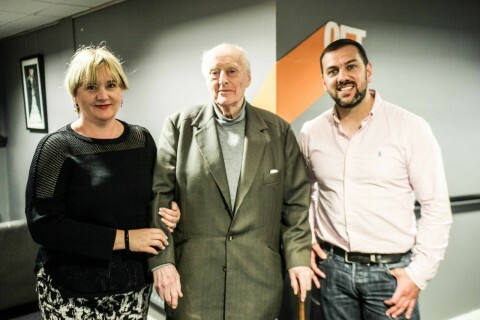 Conversations About Cinema: Impact of Conflict (Jan – July 2015) opened up discussions around a universal theme through film screenings, events and online publishing. It connected audiences, cinemas and partners across the BFI Film Audience Network, focusing on South West & West Midlands, Wales and Northern Ireland. We believe that as the world becomes more complex, people want to engage with that complexity as well as escape into the neat resolutions of Hollywoodland. Conversations About Cinema shows that there is an appetite for watching films that deal with complex subjects. 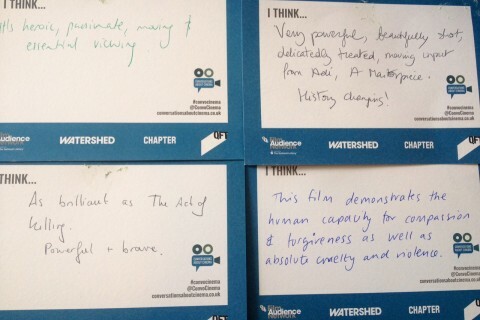 By experiencing them together, in a social setting, these films become conversation starters that help us understand perspectives that are bigger than ourselves and make sense of the world - especially when the film is accompanied by interesting speakers presenting different views and to kick starting these conversations (both online and offline). Cinemas as trusted local spaces and online brands, can be safe spaces for us connect and share with each other; better understand the world we live in and develop empathy through film. Open up and widen engagement with diverse films, across the UK, around the universal theme of Impact of Conflict. Start conversations by creating online and offline spaces where people can discuss the films. Create grassroots demand for films that might be perceived as ‘challenging’. Impact on the sector’s confidence in taking cultural ‘risks’. Conversations About Cinema connected independent cinemas, audiences and partners. With an emphasis on coordinated programming around a shared menu of films, and coordinated marketing through shared Facebook campaigns, the project raised the profile of ‘challenging’ films. 85% survey respondents rated their experience as good/brilliant; 59% took part in value-added activities e.g. Q&As; 89% said they learned something new from the screening/event. 25,611 admissions across South West & West Midlands, Wales and Northern Ireland with average admissions of 51 people per screening, resulting in a £2.73 subsidy per head. Shareable assets (from vox pops to event videos) were created with a focus on audiences, experts and talent. While they were hosted on the Conversations About Cinema website and YouTube, the emphasis was on using the trusted cinema brands to place them directly in front of audiences via their digital networks. 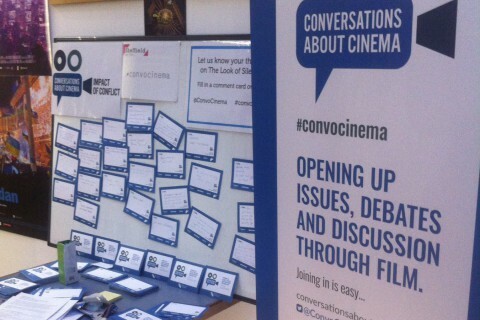 The @convocinema Twitter helped spread the word further among cinema, media and cinephile networks. Diverse audiences engaged in the programme: 9% of survey respondents noted that they had a disability; 9% that they came from a non-white ethnic background. 28% were in the 16 - 44 years age bracket. 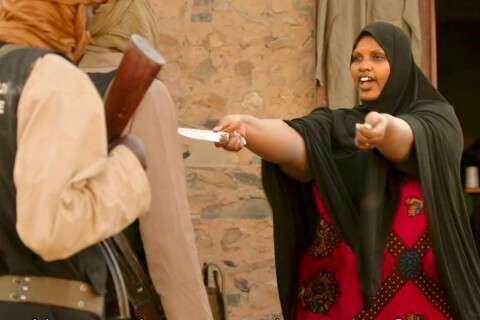 Belfast’s QFT and Bristol’s Watershed were amongst top regional sites for Timbuktu (BFI’s Indie Box Office Column, 10 June 2015) QFT was named ‘best new start’ on its opening weekend and Watershed ranked as the 4th highest grossing site in the whole country! 83 films and 57 value added events presented including from a collective menu of titles and region-specific titles/seasons. The menu included Timbuktu, The Look of Silence, Au Revoir Les Enfants, The Last of the Unjust, Villa Touma, The Decent One, Queen and Country, Maidan, Testament of Youth, Selma. Watershed (South West & West Midlands) led the project with FAN partners Queen’s Film Theatre (Northern Ireland) and Chapter (Wales). Others included festivals (Sheffield DocFest, WOW, Africa Eye, Borderline), cinemas (Home, Showroom, The Courtyard), Universities (Queen’s University, University of Bristol, Cardiff University, Salford University), distributors national partners ICO and Cinema for All. The budget was £147,298. £77,000 (incl. 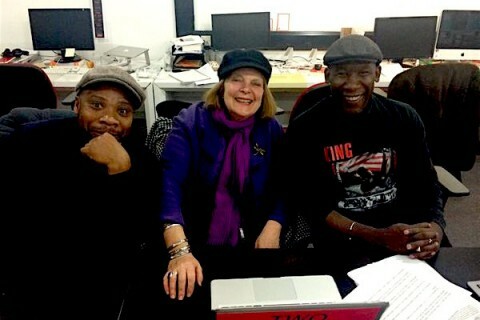 a £7K external evaluation fee) came from Lottery Funding through the BFI PDF Award. The rest was generated through box office income, own resources and partners. £2.73 Subsidy per head. Increasing visibility around a collective menu of titles using a grassroots, marketing approach (rather than a top-down approach focused on the opening weekend). This visibility was reflected in increased admissions. Building on existing networks and creating new connections to bring together communities of interest, cinemas, festivals, universities, distributors and industry partners across UK. Developing audience engagement through ‘added-value’ events – intros, Q&As, discussions - and amplifying this engagement by sharing conversations via, for example, audience comment cards, vox pops and editorial content, both online and offline across multiple partners’ platforms. Unforeseen increased pressure on small teams – especially around collective marketing, content creation and editorial. Allocate more resources to increase staff capacity and build in more responsive resources to support deeper and wider participation. Offer tiers of involvement to widen reach, engagement and impact on audience development. 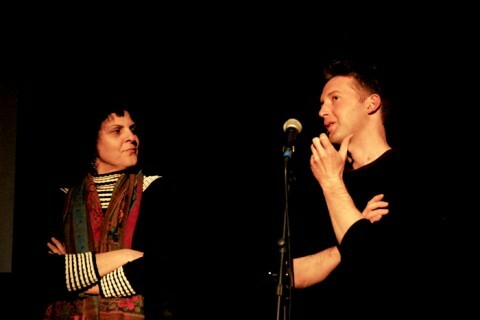 Cinemas with greater capacity could co-curate and commit to the collective menu of films and lead on specific titles. At the other end, smaller / part-time cinemas and community cinemas could be a voice/advocate of @convocinema, add to the coordinated critical mass of activity around a film throughout its lifespan. Focus on a collective menu of new film releases, rather than a prescribed theme, building on the proven successes of the first iteration in providing new ways for audiences to access and enjoy films that go beyond mainstream offer, would traditionally be thought of as ‘risky' with subject matter that lend themselves to engaging audiences in wider ideas. The programme, which explored themes of conflict from across the globe, raised awareness of a variety of experiences, cultures, emotions and ideas. Through the screenings, added value events and discussions, the programme engaged diverse audiences in representations of the repercussions of conflict both contemporary and historical, providing in-venue and online platforms for deeper engagement. Diverse audiences and contributors were actively invited to shape, engage with and contribute to the Impact of Conflict project. Partnerships were key to offering distinctive perspectives, reaching diverse audiences and creating social media campaigns that engage specific communities of interest - veterans, history groups, feminist networks, nurses, faith groups, activists etc. 9% of audience survey respondents noted that they had a disability; 9% that they came from a non-white ethnic background. 28% were in the 16 - 44 years age bracket. The ‘added value’ events and partnerships led to illuminating articles, introductions and post-show discussions from a wide range of academics e.g. Dr Su Lin Lewis placed The Look of Silence in the context of the Indonesian Suharto Era; Dr Madhu Krishnan highlighted the historical, political and cultural context of Timbuktu in her introduction, as well as exploring some of the film’s motifs in the post-show discussion. Conversations About Cinema: Impact of Conflict was highly commended for an Engagement Award by University of Bristol (UoB). The series engaged academics and students from across two faculties of UoB and inspired similar events within the history department at the University, as a way to engage students in research in an innovative way and to break down traditional ‘expert’/‘learner’ boundaries. Many students attended the events, making them teaching opportunities as well as public engagement events. Undergraduate and postgraduate students have also been involved in organisation and in presenting events, giving them a rare opportunity to gain experience in speaking to public audiences and writing public-facing blogs – with a PhD student in history/film Vesna Lukic developing content for the newly created website (conversationsaboutcinema.co.uk) and a UoB undergraduate (Sam Watts, Philosophy) introducing one of the films. Partnerships with academics can clearly have a positive impact on audience development and engagement. For example, the BFI re-release of Au Revoir Les Enfants achieved 95% capacity with 386 admits over 7 days (six sold-out screenings) in Bristol and 240 admissions in Belfast over three screenings. The introduction to Au Revoir Les Enfants by Dr Martin Hurcombe (University of Bristol) sold out in Bristol and is also now the most-viewed introduction on the Conversations About Cinema YouTube channel with 858 views to date. 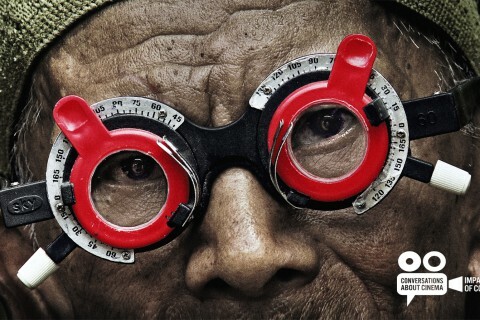 Activity around The Look of Silence demonstrated the huge potential of Conversations About Cinema and is a prime example of how the approach can work with multiple partners and distributors to significantly boost to the ‘conversation’ around a film and enhance audience experience and engagement, and create a wider sense of social cohesion. 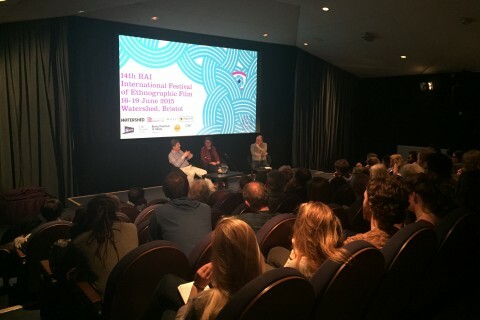 In addition to the three primary regions, partnerships were developed with Sheffield Doc/Fest, Sheffield Showroom, HOME Manchester, Dogwoof as well as the film’s Director, Joshua Oppenheimer and Producer, Signe Byrge Sørensen.